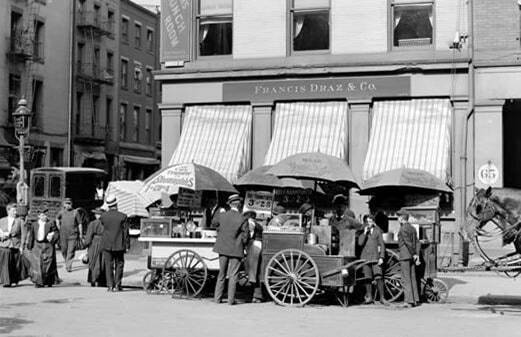 Food trucks have been around since 1800s. They are recently hogging limelight across the world, for right reasons. Food trucks ranks as the easiest way to get rich fast. They are cheap to set-up, easy to maintain, operate with minimal gadgetry, require skeletal staff and can be positioned anywhere. Anyone with great culinary skills can successfully start a food truck business. 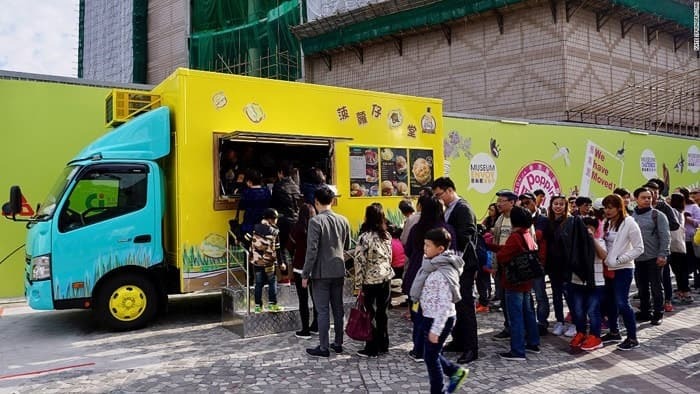 To launch a successful venture, it is vital to understand evolution of the food truck. Food trucks existed long before the term was born. Ancient Indians stationed bullock carts on major pilgrimage routes to sell or donate food to devout walking between shrines. Chinese served food from parked carts to traders on Silk Route. Bakeries in the London sold their biscuits, cake and pastries with tea from coaches. The French went a step further selling hot soup and bread from wagons. Food truck owes its popularity to the American Gold Rush in early 1800s. Miners and prospectors toiling long hours in search of elusive goldmines would camp for several days at distant sites. Tired, hungry prospectors looked for sources to procure freshly cooked, nourishing meals to sustain health in rigid conditions. Food trucks provided the answer. The term food truck was born in 1800s by combining two common English words- food and ‘wheeled carriage’ or truck. Food trucks around US continued to feed hungry prospectors of crude after the first commercial oil well was drilled on Oil Creek near Titusville, Pennsylvania on August 28, 1858. Later that century, food trucks were extensively used to feed mercenaries, soldiers and refugees of the American Civil War. During peace, they served hungry stockbrokers in New York and office goers around the country before 1929 Great Depression. Elsewhere in the world, food trucks fed traders travelling between distant lands. They were extensively used during colonial wars to sustain militaries in foreign countries. The ubiquitous food truck also saw action in World War-I and World War-II, while feeding displaced, hungry populations between these conflicts. Rapid industrialization and inability of restaurants to satisfy hundreds of hungry bellies led food trucks to flourish worldwide. Increase in migrant populations worldwide, unable to cook for any reason and dependent upon inexpensive meals from external sources. Decentralization of business districts, leading to offices mushrooming at various locations within a city and demand for readily accessible, cheap food. High number of culinary school graduates unable to find jobs in catering industry or wanting to start own enterprise. Redundancy of executive and senior chefs, with hotels worldwide losing business due to conflicts, terror threat and economic recessions that strike unannounced. Shift in dining trends and tastes, with food trucks offering variety of cuisines over traditional restaurants. Low costs involved in setting up a food truck operation– from purchasing a vehicle, commissary deals and staffing. Food trucks are fun. They serve as social and dating venues. Food trucks offer cuisine that often differs vastly from traditional restaurant fare. In most countries, eating at food trucks is relatively inexpensive. Food trucks are parked at convenient locations, thus easy to access. Ample parking space is available around food trucks. And food trucks are easy to set up for entrepreneurs. Draw the menu: This is the first step towards starting a successful food truck business. Prepare a detailed menu of food and drinks you intend to offer. Remember, food trucks generally have less than 10 dishes and 10 drinks on the menu. Select culinary styles that are unique to your area. Finalize the commissary kitchen: Cooking is generally prohibited inside food trucks for safety reasons. Operating a gas stove is hazardous. Electrical stoves are expensive to buy and cumbersome to maintain. It is best to use a commissary kitchen to prepare your menu offerings. Procure required licenses: Food trucks also require several licenses to operate. Licensing procedures vary by country and location. Check with your local food truck association or union for statutory permits. File applications well in advance to meet your launch date. Finalize location: A great location is essential for flourishing business. Generally business districts, areas frequented by students, evening leisure hours and picnic spots are prime spots. Find out about other food trucks plying in the spot. You may have to pay parking and license fees to operate from the selected location. Know other operators: Unless you are the sole operator, it always pays to network with counterparts at the same location. Very often, your food truck may complement cuisine served by another. This synergy helps rake in business for both. 1: Compact chassis: To allows easy manoeuvring and parking in limited area. 2: Fuel economy: Your commis equipment will work on electrical power generated by the vehicle engine. 3: Interior space: The serving area should be sufficient to accommodate two to three staff, commis equipment including microwave ovens, food warmers, refrigerator, tea/coffee/chocolate dispenser and other fittings. Interiors should not be cluttered. 4: Easy serviceability: Chassis, engine and interiors of food trucks undergo more wear and tear over other vehicles. Ensure that maintenance of your food truck is economical and fast. 5: Old food trucks: Often, buying an old food truck is economical. You can recondition it at a good workshop. Old food trucks will have all fittings required for commis equipment. 6: External décor: Food trucks have large windows on both sides. The chassis is large enough to allow proper ventilation. Choose appropriate theme and colours that will distinguish your food truck from the rest. You can also rent a food-truck from an existing operator or get one on franchise from reputed chains. 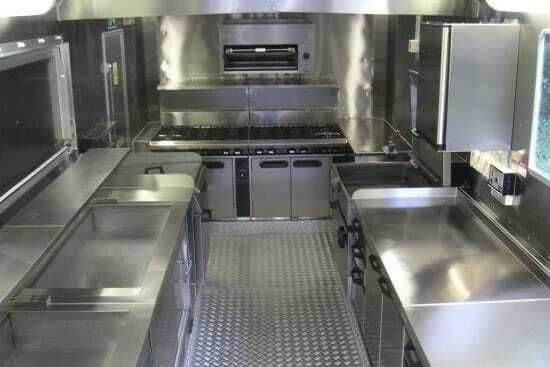 As explained earlier, commis kitchens provide inexpensive options to cooking on board food trucks. Restrictions exist on cooking inside food trucks. However you will need some basic equipment for your food truck. 1: Hot galley: To keep warm and fresh, food prepared at commis kitchens or other facilities. 2: Portable microwave, food warmers: Customers patronize food trucks that serve fresh, hot meals. You will need portable microwave oven and a food warmer to serve piping hot food to clients. 3: Dishwasher: A portable dishwasher is essential for obvious reasons. Dishwashers that offer economy of water are preferable. 4: Refrigerator/ chest cooler: Similar to any food industry, a refrigerator is essential for your food truck. It allows you to store chilled beverages and premixed salads. Chest cooler helps store frozen, ready-to-eat meats. Buying one with instant icemakers is ideal. 5: Blender/ Juicer: To churn out fresh fruit juices, punch and shakes for customers. You will require two or three blender/ juicers for a food truck. 6: Music and entertainment systems: A food truck is fun place. The installed music system can be modified and upgraded to entertain customers. Some food trucks carry giant TV screens to regale clients during sports fixtures. 7: Water tanks and plumbing: This is very intricate. Your food truck has to be fitted with a concealed water tank and basin for washing hands. A tank to collect waste water also features on food trucks, since dumping is considered illegal. 8: Portable furniture: This is optional. Some food trucks set up small dining areas with two to four tables, few chairs and parasols for customer comfort. Giving this facility depends solely upon your area of operation. A large trashcan to collect any Styrofoam or disposable plates and cutlery is essential. 9: Point of Sale machines: Portable POS machines that work on Global System for Mobile (GSM) technology are a must-have for all food trucks. Customers often pay on credit/ debit cards or through mobile payment apps. 10: Cash register: A small cash register that prints bills is required in a food truck. It also helps you keep accurate account of cash and the currency itself. You are the best person to man the food truck. It is advisable to enlist services of family members like siblings or spouse. Alternatively, you can hire student of working age, housewives or part-timers. Staffing a food truck is easy if you know the tricks, tweaks, rules and regulations. You will need to train them on portion sizes, food presentation, menu and other motley issues. Two or three crew is sufficient to man a food truck. Food trucks are becoming trendier by the day. They are integral part of foodie culture sweeping the world. Increasing profits from your food truck business requires ingenuity. 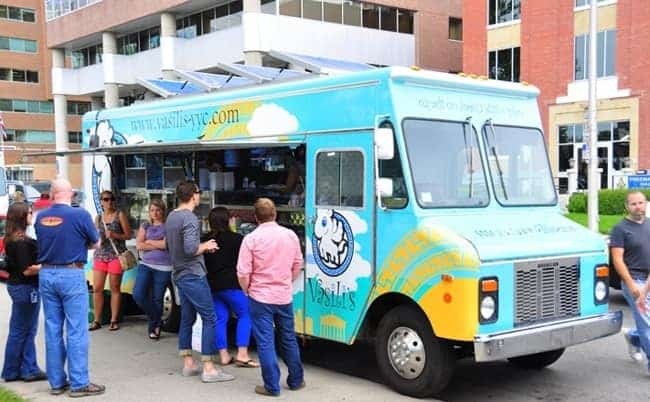 Music concerts and public events: Parking your food truck near the venue of a sell-out music concert or public event such as sports rallies attracts more customers. It also helps identify your brand with such events. Food Truck Festivals: These are events where several food trucks converge upon a selected venue. They offer a wide selection of cuisine. Participating in food truck festivals rakes in more profits. It contributes towards popularizing your brand. Outdoor parties and picnics: Collaborating with student groups, colleges, companies and communities boosts profits. You can offer outdoor catering for parties and picnics conducted by these groups with your food truck. They offer advance payment for food and drinks required. Joining food truck associations: Increase in food trucks has spawned unions and associations of their owners. They lobby for rights and amenities for food truck operators including relaxed licensing laws and fewer taxes. Website and social media: Advertise your food truck through a dedicated website. Inform people about your daily specials and discount offers. Open a Facebook page for people to interact and comment on your food truck. The fame of food trucks has not gone very well with various sections of restaurateurs. Cash-rich unions of restaurant owners are lobbying for tougher licensing rules for food trucks. They contend that food trucks sell unhygienic and often overpriced food while get away with minimal licensing. Restaurant associations worldwide are also calling for stricter regulations in food truck parking sites. They falsely believe that food trucks business are eating away into restaurant business. But these are no reasons to worry: Food truck owners associations have successfully countered such claims and restrictions by invoking laws. Thanks for the proposal but could you please elaborate further on the investment part (both initial and running)and what would be the break even point. Hey, I am Mwase Demiano from Uganda. How Much money suould I have to start a Food Truck Business? What ever finance to start up my own buisness my ready but i need a step to go ahead. You can contact me on 9619447697. Very helpful business tip. ?? Very nice business. 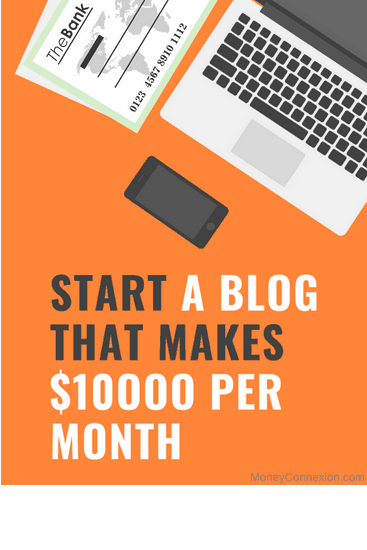 How much is rough estimate of Capital needed to start this business.